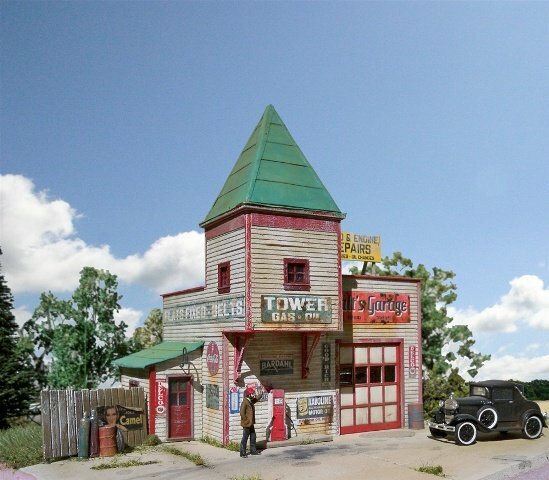 HO-SCALE TOWER GAS - This is a small HO-scale gas station and garage. The kit includes laser-cut walls, Tichy detail parts, metal detail parts, laser cut detail parts, color signs and assembly instructions. Fits easily into crowded layouts, suitable for many eras and can be at home in any rural or urban scene. Figures, vehicles and scenery not included. Footprint: 3.5" x 5"